Get a safe and complete whole-body workout using nothing more than a park bench. The simplicity of a park bench belies the amazing variety of exercises it offers. The seat of the bench allows for specific movements that can be executed by the hands and feet, and leg power can be built by using it as a platform for a vertical leap. The backrest can be used for balance and flexibility movements and its height makes it perfect for a variety of strength-building push-ups. Often spread out on walking trails, a bench can be used as an extra exercise station in a well-thought out training circuit. 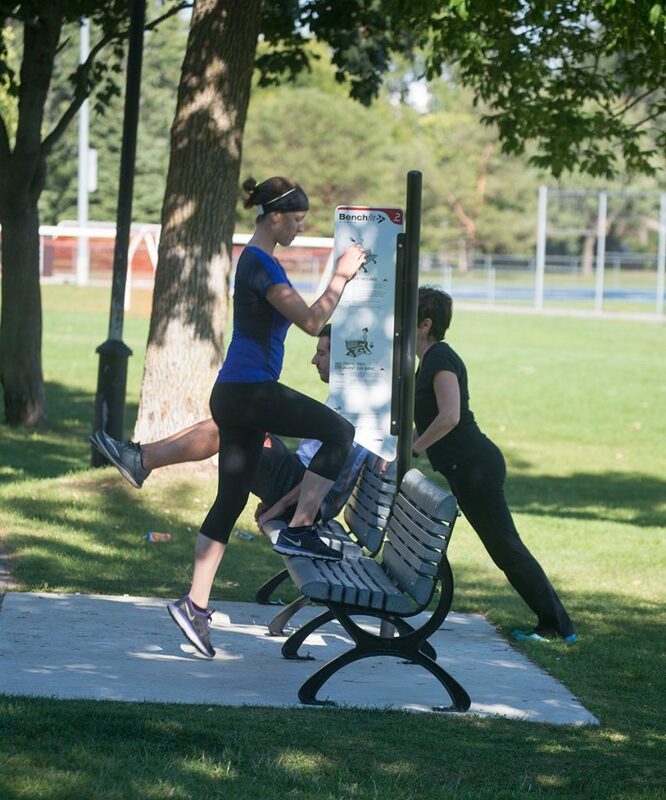 In addition, walking, jumping or sprinting between each bench is a great way to stimulate the cardiovascular system. Benchfit is ideal for trails, seniors’ residences, small spaces and limited budgets. In keeping with TREKFIT’s ethos of blending in harmoniously with the environment, natural objects such as rocks, boulders and tree trunks can be used by our kinesiologists to create customized fitness circuits. We’ve developed four training programs that meet the needs of users of all ages and skill levels. 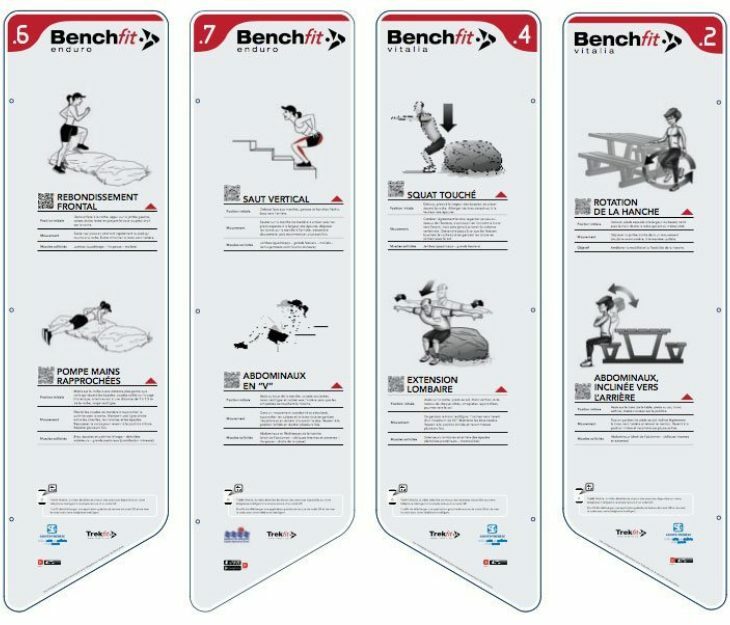 Enduro is the most demanding of all Benchfit fitness programs. Designed for people in good physical condition, it stimulates the major muscle groups at least twice. Created for seniors and people who want a gentle exercise routine, each Vitalia station has two simple exercises that require very little strength or experience. Most movements in this circuit promote leg strength and trunk muscles so as to prevent falls. For today’s woman, staying active can be a challenge. That’s why we’ve designed convenient and effective training programs. 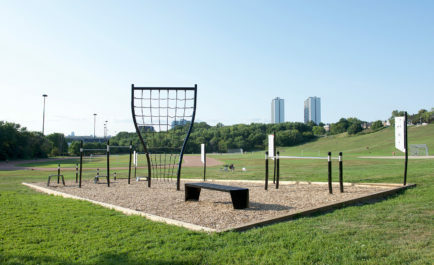 All exercises are performed using park benches near a playground so you can enjoy a full workout while simultaneously minding your children. The Flexor is intended for people wanting to get into shape gradually by improving their flexibility and strengthening their core muscles, which are both crucial for injury prevention. This program includes stretches for 12 different muscle groups. 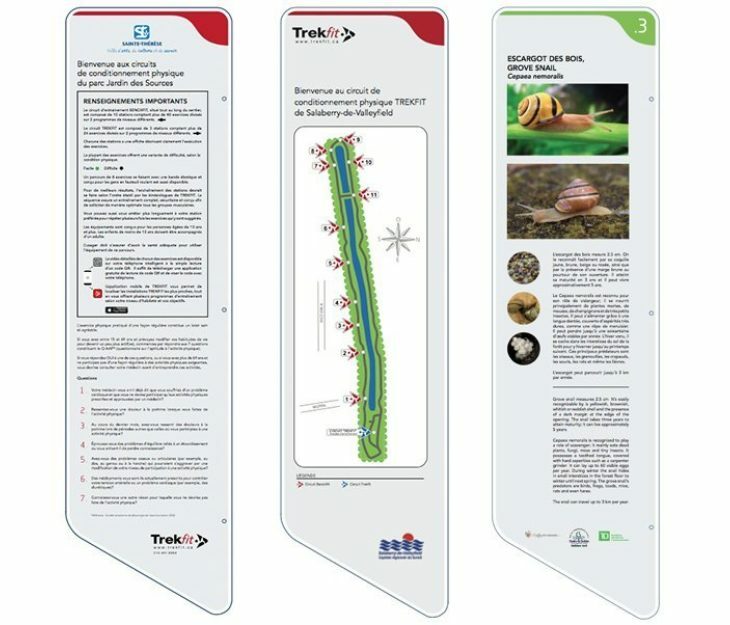 Customize your information panels and make your project unique. 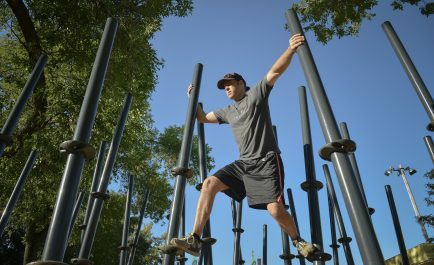 TREKFIT’s kinesiologists can also use natural obstacles such as rocks, boulders and tree trunks to create custom fitness circuits in harmony with the environment.